Don't Bring The Beat(s) Back! Back in May, Apple announced to the world that it was to buy headphone-maker ‘Beats’ for $3 billion, making its owners billionaires. They went on to post video of themselves celebrating on YouTube, which attracted criticism from some and confusion from others, who wondered what on earth Apple were thinking. This was a big outlay by any standard. Even to a tech-mega-firm like Apple. What it did though, was bring a massive brand under their control and mark a grand revisit to the music industry. This is where Apple first made its big comeback with the iPod and iTunes, but it’s also where they’ve lost a bit of grip. The headphones and, more importantly the ‘Beats Music’ streaming service should help reverse that. I’m no fan of Beats headphones. To me they look and feel cheap and the vibe they appear to give off is one of conspicuous consumption. Would all these buyers have such an easy time handing over the credit-card if they knew that their shiny purchase only cost a rumoured £8 to make? It’s easy to see what’s behind the owner's big grins, knowing they're getting over £300 a pair in many cases. A successful fashion item they are though and that’s hard to argue over. Other industries (most notably clothing) have long had products that people will pay more for, simply because the brand or style is in fashion, so why shouldn't the tech industry? Personally I’d definitely rather pay £300 for headphones than on a pair of jeans. Perhaps I shouldn't be quite so harsh. The trouble is that at that price, they should still be great headphones and Beats are just not. I know that they've been tuned for Hip Hop and so on, with a big bass bias - but so many other headphones do it better in my humble opinion and not at the expense of good detail and clarity. Credit where credit is due though, those other headphone makers have certainly been caught off guard. Take a look at a good pair of Bose, AKG or Sennheiser cans from say 4 years ago. They’ll sound better than the equivalent from Beats, but they’ll look like they were designed by a stuffy academic who doesn't get out much. Take a closer look at the audiophile market and you realise why. Audiophiles want the R&D money to be spent on improving the sound quality, not extra shine on the box. Great HIFI generally looks very bland. So Beats were pretty innovative and cracked a whole new market who had plenty of money burning holes in their pockets too. Fortunately, some companies have woken up to Beats’ achievement and I would suggest that it’s now time to make Apple look a bit silly and check out some alternatives that not only look good, but also sound amazing. Not ‘reference HIFI geek’ amazing - ‘warm and friendly’ amazing with deep bass when you want to blow your head off with Hip Hop or Dub Step, but also lots of detail when you change your sound and flick over to some ColdPlay (come on, I’m sure you do). So who has woken up and realised all this? Who makes these wonderful cans that look and sound fantastic? Why it’s Sennheiser of course, with their AMAZING ‘Momentums’. Presented in a grand-looking case, the first thing that strikes you is that Momentums are not shy subtle headphones, but nor do they shout and scream “Look at me! Look at me!”. They’re cool. Available in a range of colours, there is a classic headphone look here but with a strong emphasis on style that puts out a more sophisticated image. High grade metal and leather instead of gaudy plastic and design details like the stitching around the headband make you feel like you’ve got a premium product in your hands. On your head, Momentums are so comfortable. I regularly wear these full sized cans all day whilst working. They sit over the ear, meaning there is no pressure to cause any aching and they block out enough background noise that you can set the volume at whatever level is comfortable for you. No need to blast it to block out the chatty guy on the next desk over! Like I mentioned. Sound from the Momentums is quite warm. This is no bad thing. HIFI buffs can keep their reference headphones with their flat (accurate) response (OK full disclosure, I love my AKG K550s for this very reason!) - the Sennheiser sound brings punch and energy to every track and just wills you to hit that volume dial to really immerse yourself in the music. 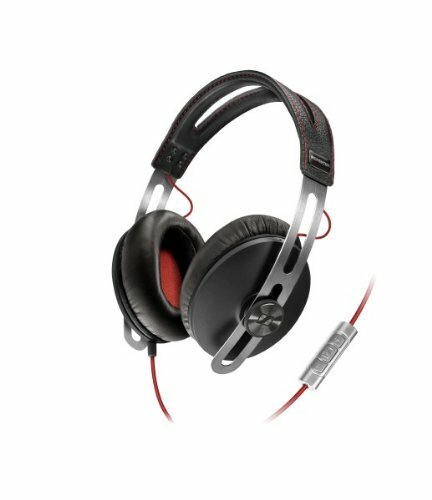 Put simply - the Sennheiser Momentums trounce Beats and, if you buy headphones to make a statement, let that statement be one of knowledge and sophistication. What do you think? Am I right? Is it time to put the focus back on sound, or are the Beats punching their weight sonically too? Comments welcome.